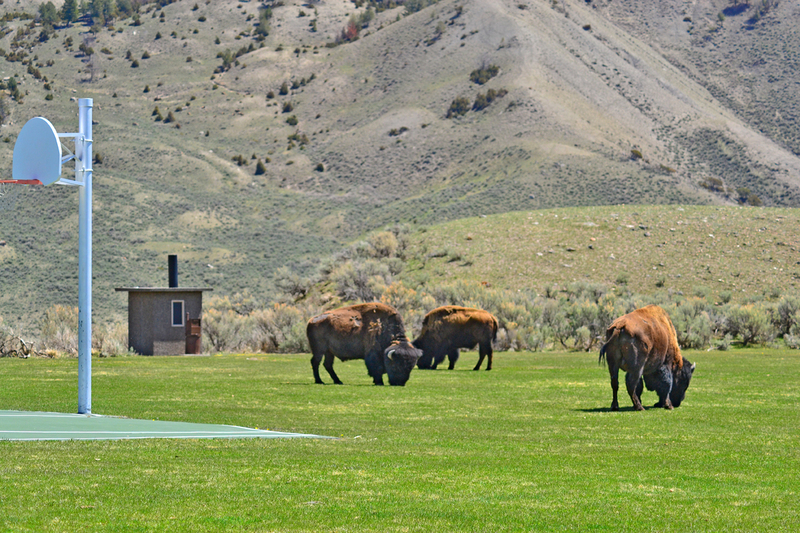 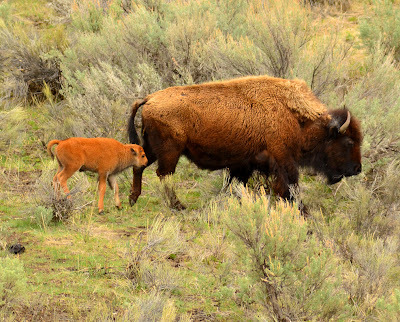 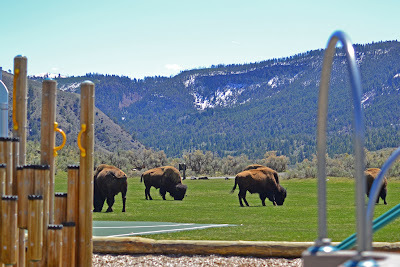 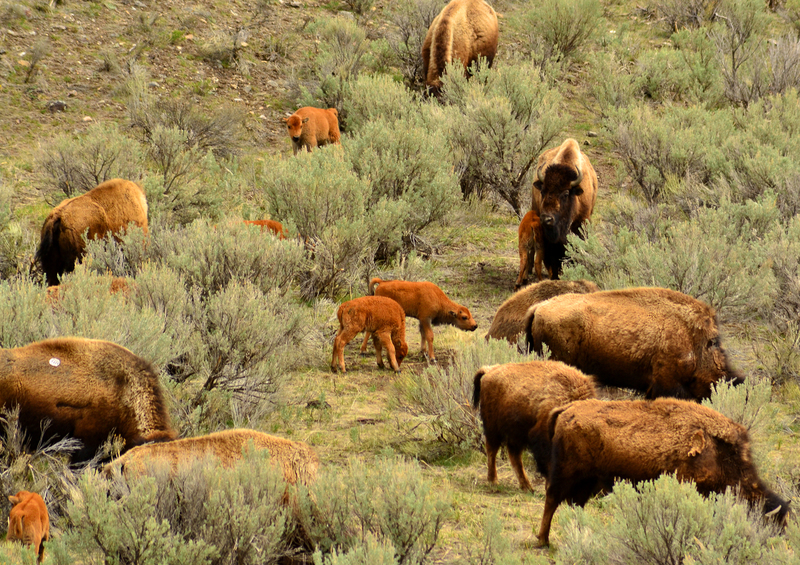 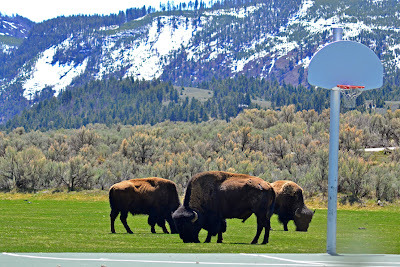 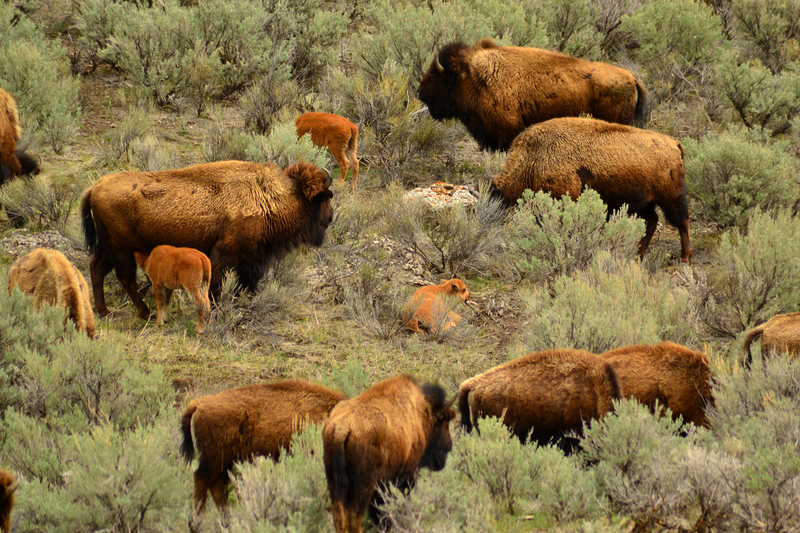 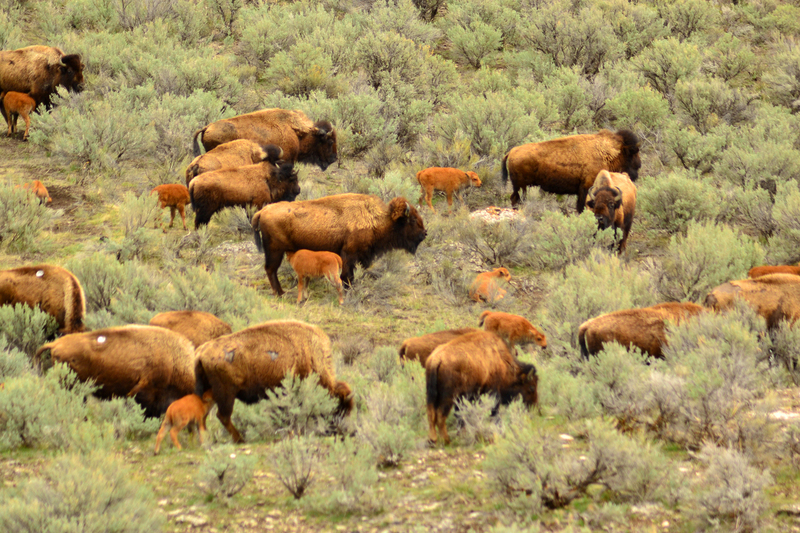 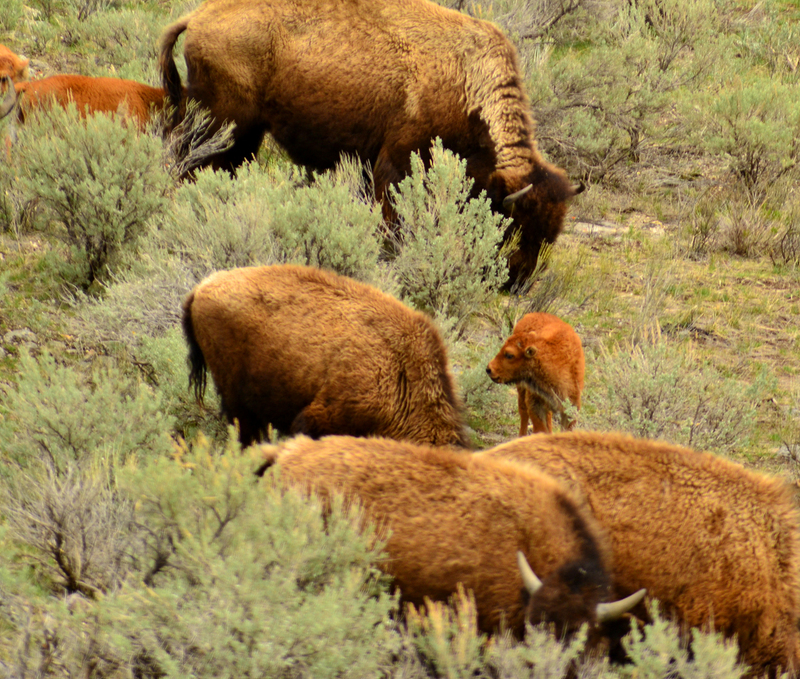 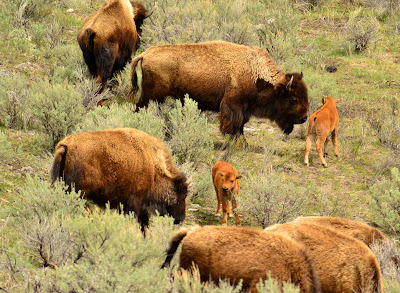 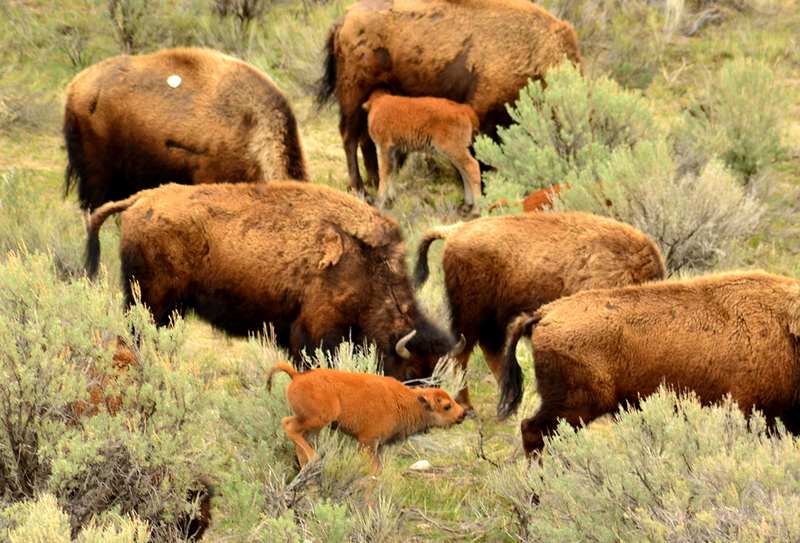 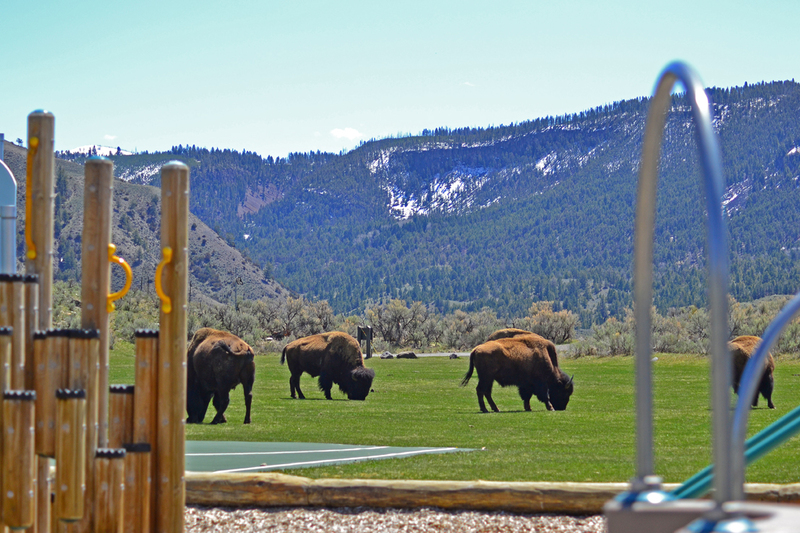 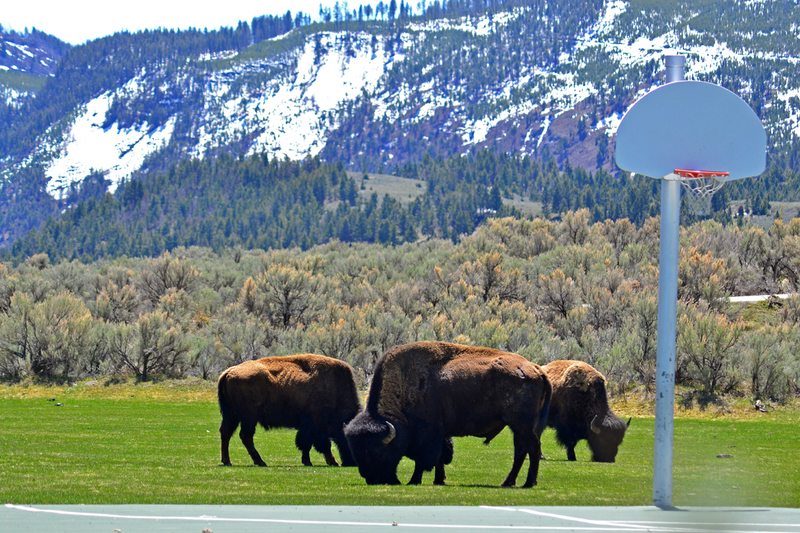 Putah Creek Photo: Baby Bison, Spiky Terrain and School Yard Bullies! 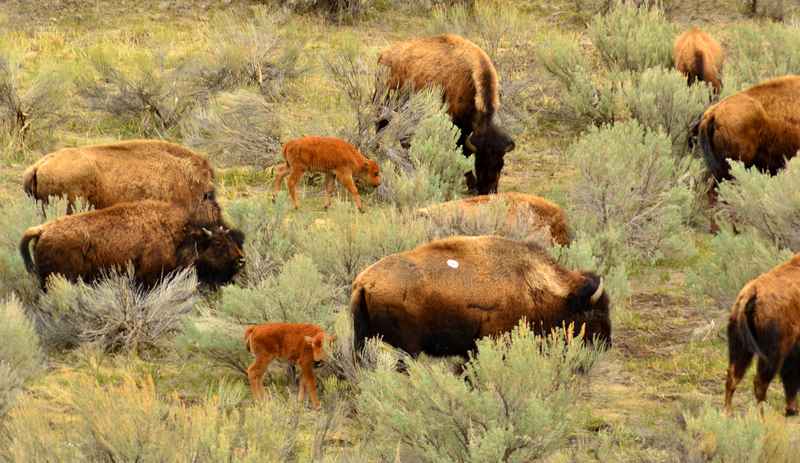 Baby Bison, Spiky Terrain and School Yard Bullies! I went for my usual lunch time hike and went down this fairly steep hill of the Lower Mammoth Hot Springs into an area filled with boulders and soon came across a herd of bison. This cow stared me down after they heard me coming up. They started to grunt and make a menacing racket of noise grunting and huffing at me. I had come into herd of about 50 buffalo with 7-18 babies, 20 cows and a few bulls all standing tightly together. 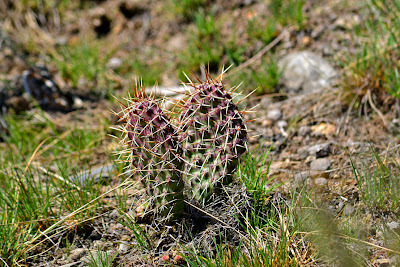 hidden amongst the house size boulders. Most babies are really strong when they are born and spend their time kicking and dancing about with their peers as well as suckling off their mothers and harassing the bulls and other cows. 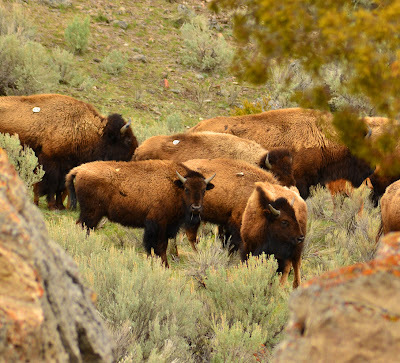 Soon, they all streamed out of the rocky gulch and headed south along the Boiling River upwards into the highlands of the Blacktail Basin; where if the snow ever melts this year, they will have many types of long green grasses waiting for them to eat and grow fat on before the next winter. These babies have to endure wolf packs, bear chases, wild cat ponces but 'I bet' their most feared enemy is these prickly pear cactus. 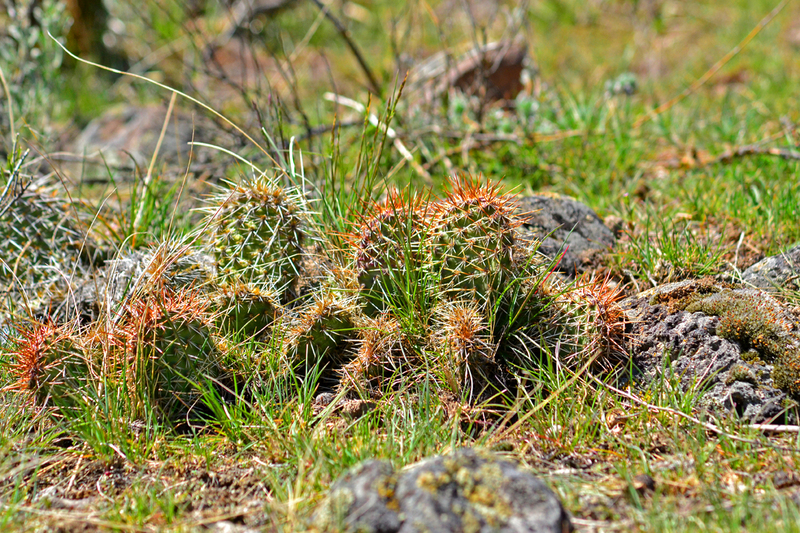 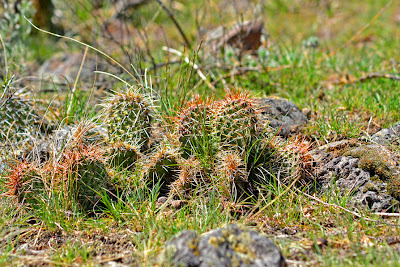 I can just imagine what pain and shock these hardy, sharp and plentiful cactus might deliver to these new to the world calves carelessly running and kicking about. 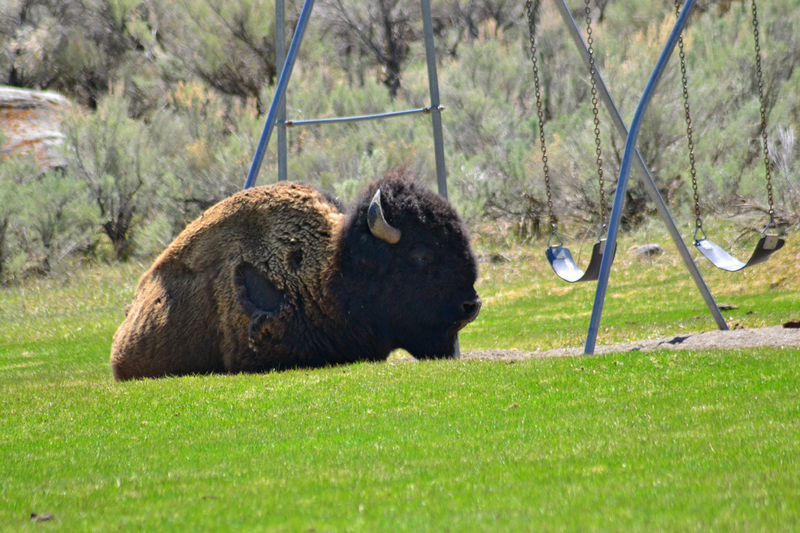 "Hey Mr. Bull Buffalo could you give me a push?"